Thanks for stopping by! As we move forward with getting our farm up and running, we thought it would be a great idea to simultaneously start a website. 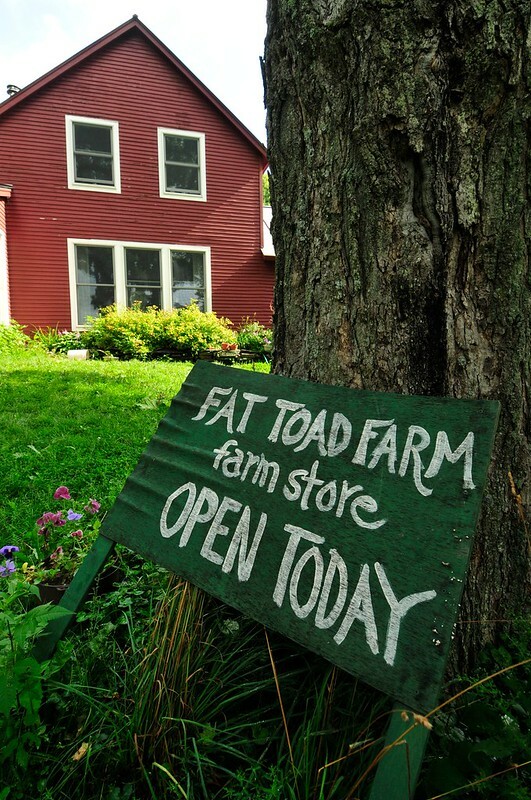 Through the links above, you will be able to find out what we’re all about, take a look at some of our products, and come back often or subscribe to our RSS feed (click on Entries RSS under Meta over on the right of the page) to keep up to date on Fat Toad Farm happenings. For example, we’ll let you know when Sweetie Pie (the ram) decides he will finally stay inside his fence and how our new “guard llama” fits in with the rest of the crowd. For starters, check out this article written about us in the Randolph Herald. Thanks for stopping by, and we’ll see you again soon! This entry was posted in Farm News, Uncategorized. Bookmark the permalink.